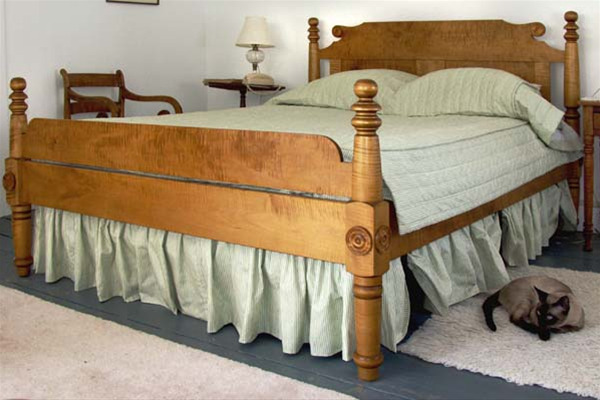 This custom bed was made for the former president of our local historical society. She had a full size bed that she liked that had come down in her family and she asked us to copy it exactly. We took detailed photos and measurements, and this bed is what we came up with. We were somewhat humbled by the skill of the original turner who was probably working in a pre-electric time. Our turnings were pretty good ... his turnings were just exquisite.